40 years ago, Litume’s founder entered the world of fabrics and textiles via rain protective canvas fabric processing. Through the deepened experience of buying and selling fabric, the team began its journey toward new outdoor product categories from backpack to tent manufacturing. From the reputation of quality established, clients then prompted the next stage of the team’s journey, the move into outdoor and leisure garments, from which the Litume brand came into existence in 1993. With the growth of an outdoor and sports market, Litume expanded its category list to develop an unrivalled reputation in down garments and sleeping bags, laying the roots for its continued functional focus. 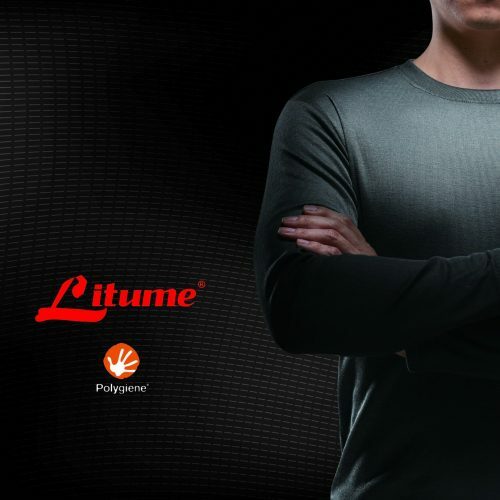 From this milestone, Litume began to actively collaborate with international and Taiwan-based brand technologies and mills from Polartec, Primaloft, 3M, to Polygiene. In total, Litume have collaborated with over a 100 partners to develop a full range of products that spans the spectrum of sleeping bags, pants, base layers to its wide gamut of outdoor accessories. The land of their roots (Taiwan) is known for its rich climate, which extends from flatland, hilltops to the rugged and serene high altitudes of its central mountain range, with accompanying conditions from stuffy heat to damp coldness. When we leave our homes, one constant in all of our lives is that we face ever changing climate conditions that we navigate. It is this realization that inspired Litume’s founder to establish the brand’s core ethos, namely that outdoor enthusiasts do not only go to very cold or high mountains for their travels, but navigating through the whole breadth of changing climate conditions. This key, the brand holds, is therefore how to enable for comfort and relaxation throughout one long and ever changing story of motion. More yet, in today’s global climate change conditions, products need to adjust to evermore rapidly changing climate conditions. Additionally, the severity of climate change illustrates how protecting our environment has also become an ever more pressing goal. In addition to striving quality and function, Litume holds the conviction that its products must not negatively impact the environment. This has led the brand to actively adopt a range of production standards from Oeko-Tex, Responsible Down Standard, RDS, to its own material recycle and reuse policy, upholding earnestly its brand responsibility toward the environment. Stated differently, from the climate, environment to our everyday lives, we find ourselves in a continually moving environment, and Litume hopes to become a companion on this varied single journey to provide unrestrained comfort. The brand takes inspiration on this goal from its own brand journey, navigating constant changes and conditions along the way, always facing these head on its journey toward excellence by ‘Always Keeping Moving!’. Why pick Polygiene and what products are it to be used on. In order to help its customers adjust to all types of environments, Litume has continued to focus on enhancing its product functions. With changes in our external environment and textiles technology, consumers have reoriented from basic requirements to functional prowess. 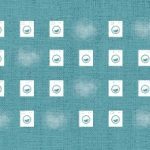 In other words, a garment now needs to have the functional standards that enable continued wear from morning to nighttime, with odor control becoming especially crucial to this. Polygiene not only possesses an exceptional quality on its core odor control function, but also features the powerful combination of permanent function, safety and ecological soundness, the combination of which mirrors Litume’s own values and evermore streamlined focus on eco consciousness in the time ahead. Litume’s thinking for adding Polygiene is which garments can be worn for the longest duration, and we believe that the range is vast, from base layers, socks, to head covers. All of these products are ideally suited to the function of Polygiene, and in the future, we will focus on incorporating Polygiene into ever more of our product line to enable permanent fresh comfort for our customers. Many believe that functional clothing are only suitable for intensive mountaineering or extreme sports such as snowboarding. Litume, on the other hand, believes that in our times of powerful climate change, that we face different challenges daily, whether sweating on our way to work during the damp hot summer, to weekend outdoor activities on flatland and mountains. Ceaseless motion, movement and transformation is the constant and underlying canvass of our lives, and Litume believes that this the key contribution of functional gear is to enable us to adjust to this canvass of transformation.